Welcome to the BTINsider Blog! 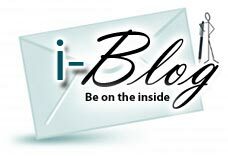 Whether your interest is in entertainment, sports, politics, or world events, let the i-BLOG be your personal tool to seeing and understanding the world in a whole new light. The Brain Doctor is in! “Jon Niednage” is taking any and all questions from subscribing INSIDERs Submit your question today! Brain Types is the world’s most accurate and sophisticated approach to understanding why people do what they do. Learn more about each of the 16 designs, watch video examples (male and female)’ & take our newly released Brain Type Questionnaire! “Hey, what’s that guy’s Brain Type?” Look no further than our newly released Notable Names Brain Type Database. Search athletes celebrities, or world figures. Can’t find who you’re looking for? Submit a name and help our database grow! If you’re an Insider, you qualify to enter our new monthly raffle to win a free book or DVD. Simply enter your UserName and submit your ticket today! Guess Their Brain Type allows BTInsiders the unique opportunity to watch and determine inborn design with our monthly posted video interviews. Remember, BTInsiders exclusively receive 25% off all products in the i-Store! Not only that, you get a 3-day free trial! So why wait? NEW: Don’t want to use PayPal? That’s fine! Just click the same link and you’ll see a “Pay With Credit Card” option inside PayPal. Or, order by phone (quarterly or annually) by calling toll-free: 1-800-748-5549.